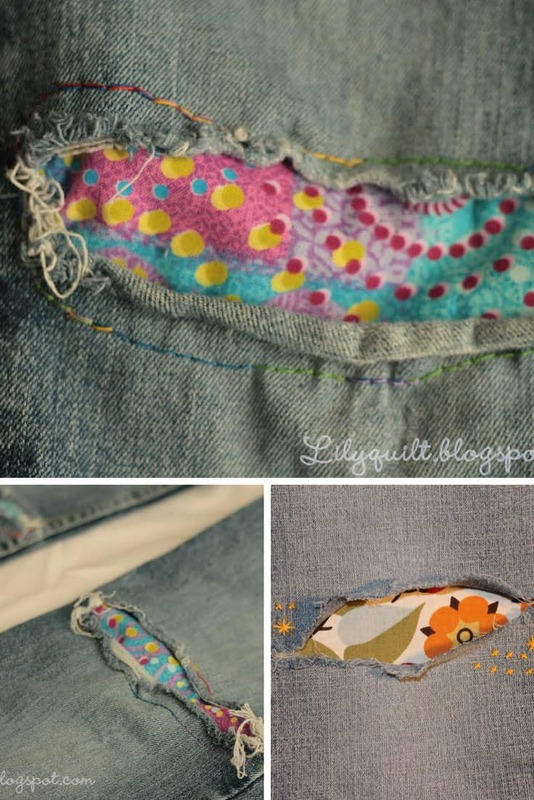 Home > Life Hacks > 15 Amazing Jean Patch Repair Ideas that are Basically Magic! 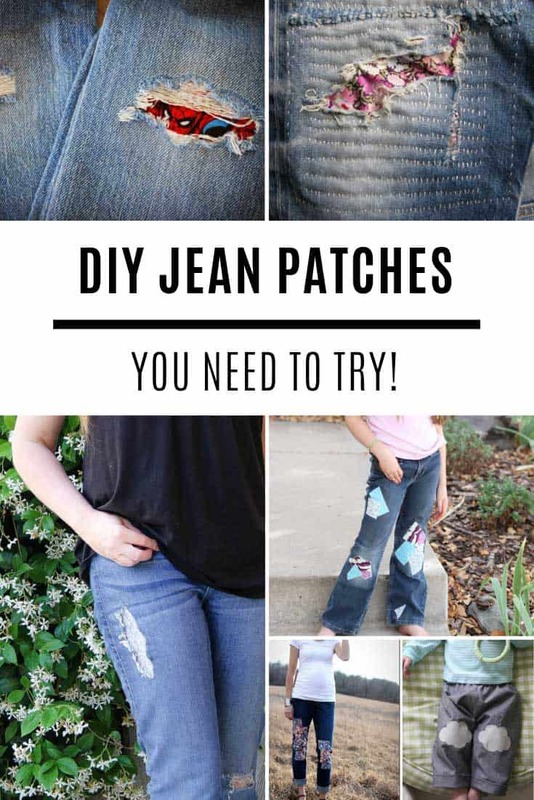 We’ve scoured the internet for the best ways to repair ripped jeans and we’ve come up with a list of amazing jean patch repair ideas that are so brilliant you’ll WANT to find holes! There’s nothing quite so frustrating as noticing a hole in your favourite pair of jeans right? And why is it boys ALWAYS manage to put their knees through? 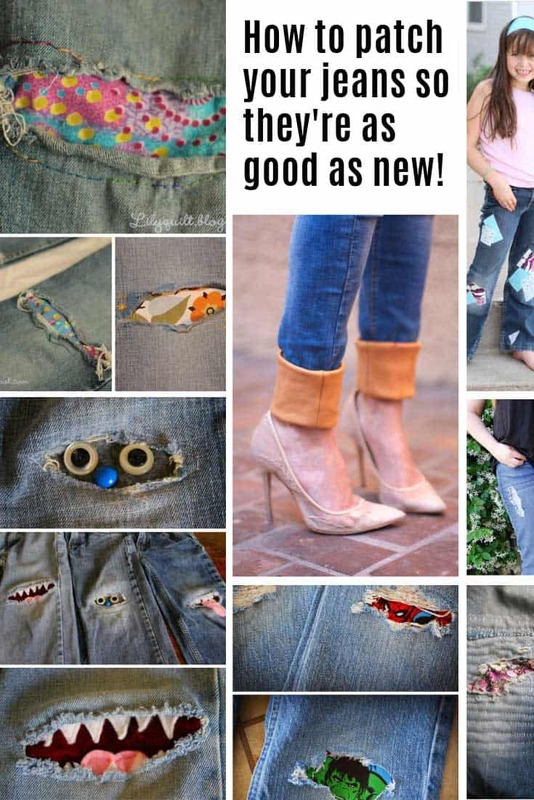 We’ve scoured the internet for the best ways to repair ripped jeans and we’ve come up with a list of amazing jean patch repair ideas that are so brilliant you’ll WANT to find holes! Need cute fabric for your patches? Craftsy has some great deals today ==> Check out their clearance aisle! 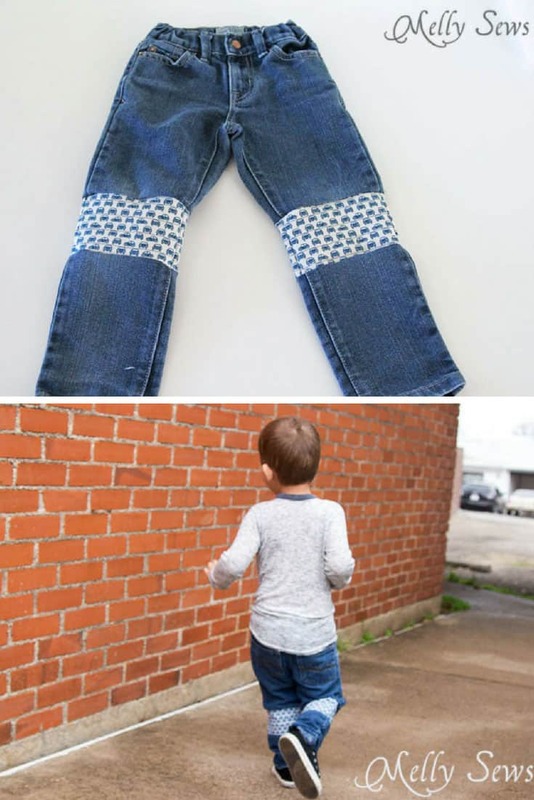 If your jeans are paying the price for crawling around after a toddler all day check out how to patch them so they look like they were made that way. 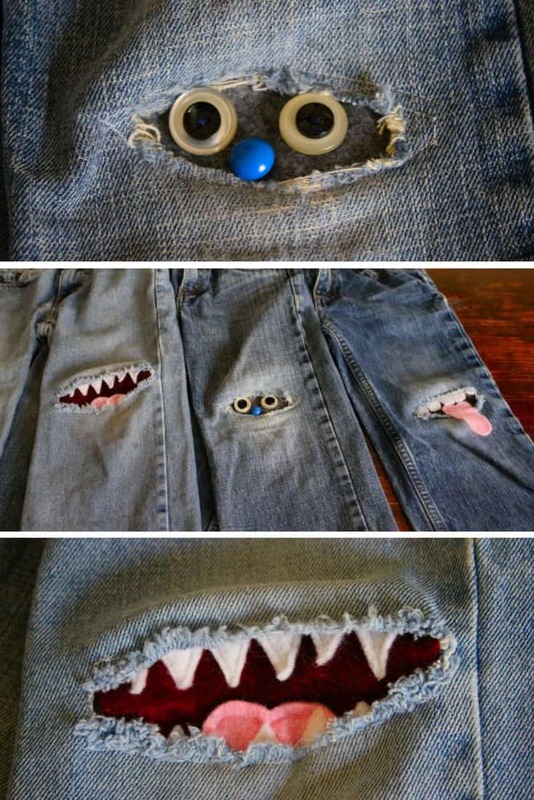 What could be cuter for patching knees that these monsters?? You know how your kids tend to grow too tall for their jeans before they actually outgrow the waist? 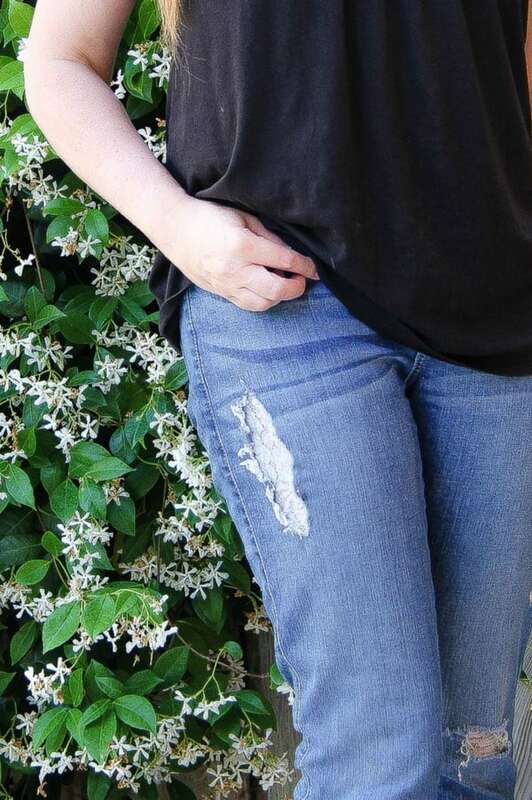 This clever way to patch jeans actually makes them longer too! If your hems have started to fray it’s time to add some fabulous leather cuffs to give those jeans a new lease of life! 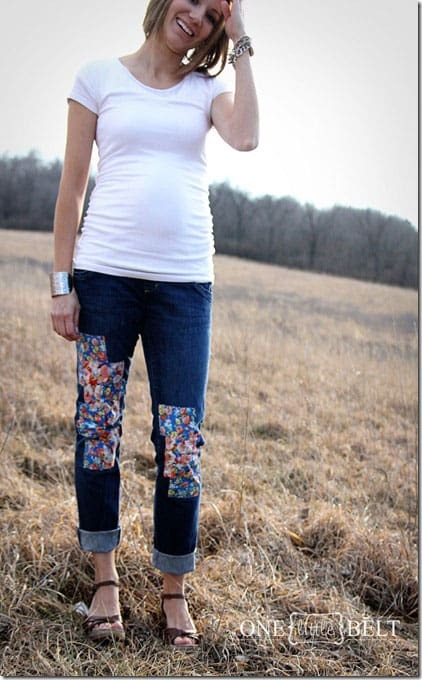 Just because the crotch has split on your favourite jeans doesn’t mean you have to throw them out! 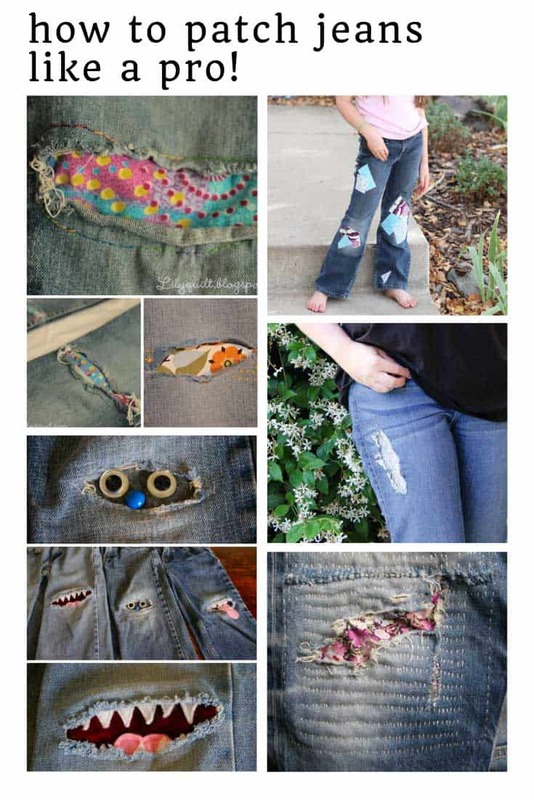 Make your worn out jeans look even cuter by patching the holes with lace. 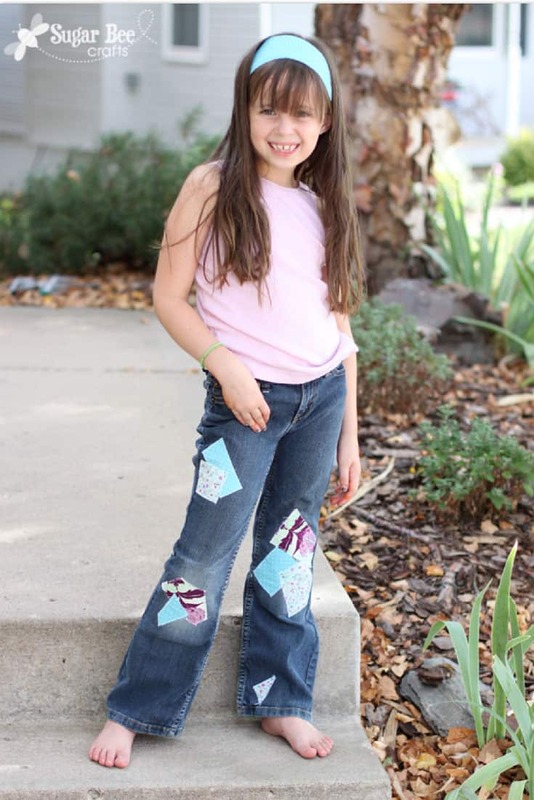 These patchwork patches are super cute! 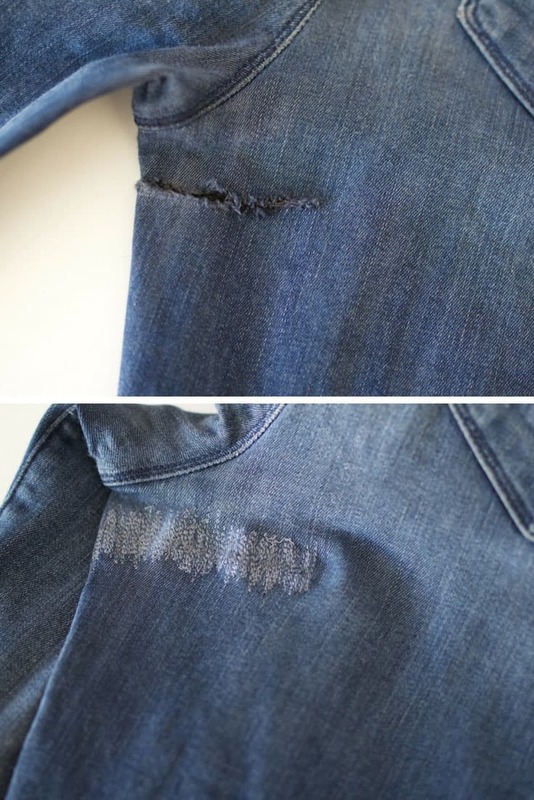 Here’s a great way to patch a hole in your jeans so it doesn’t look like it’s been patched at all. 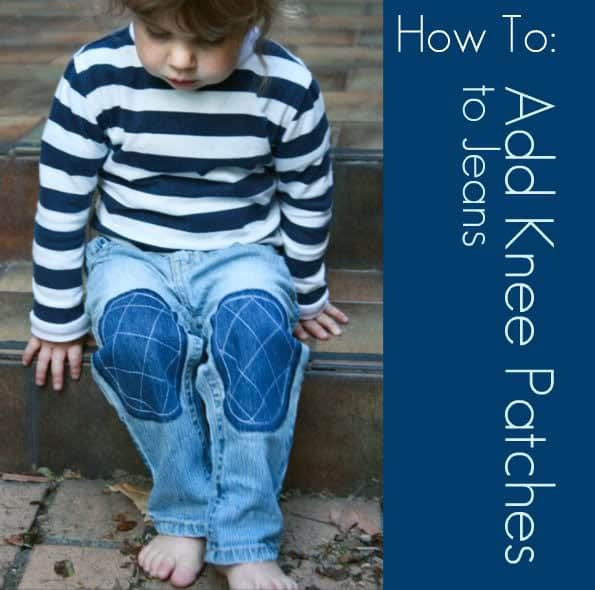 This patching method would work for big and small pairs of jeans. 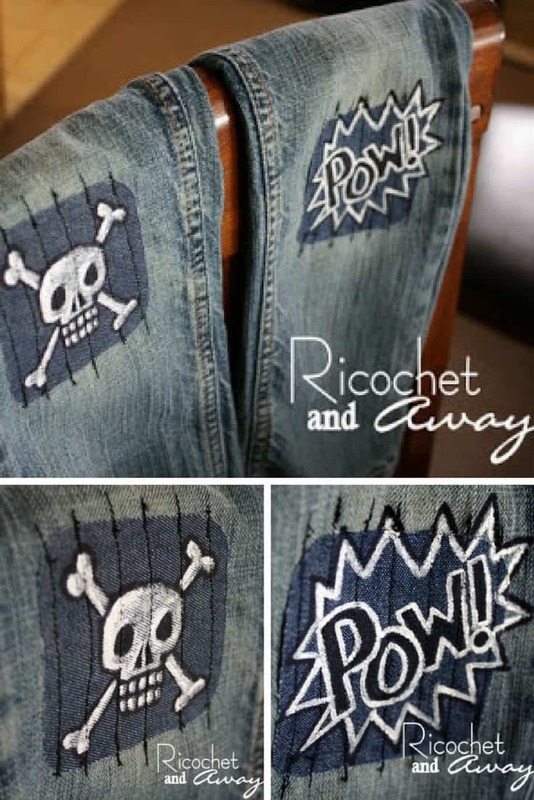 Here’s a neat way to make iron on patches look less like… ironed on patches! 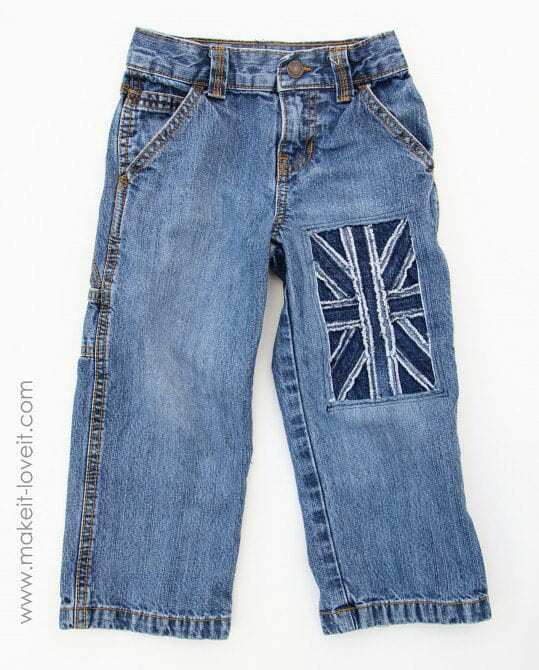 Feel free to use your own flag of choice to refashion a pair of plain blue jeans. We love how this patch up job includes some cute stitching around the rip. 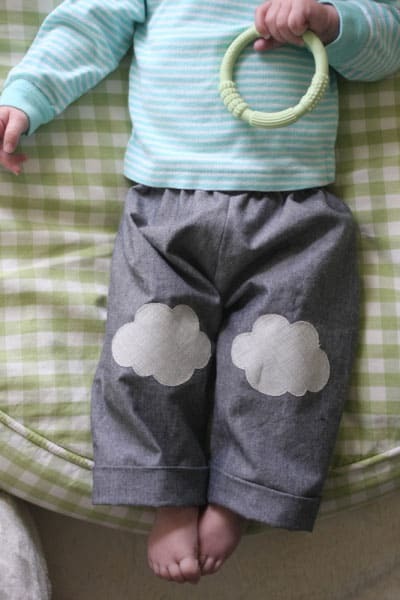 Add some of these cloud patches to your tot’s trousers so he doesn’t crawl a hole in them, and because they are super ADORABLE! 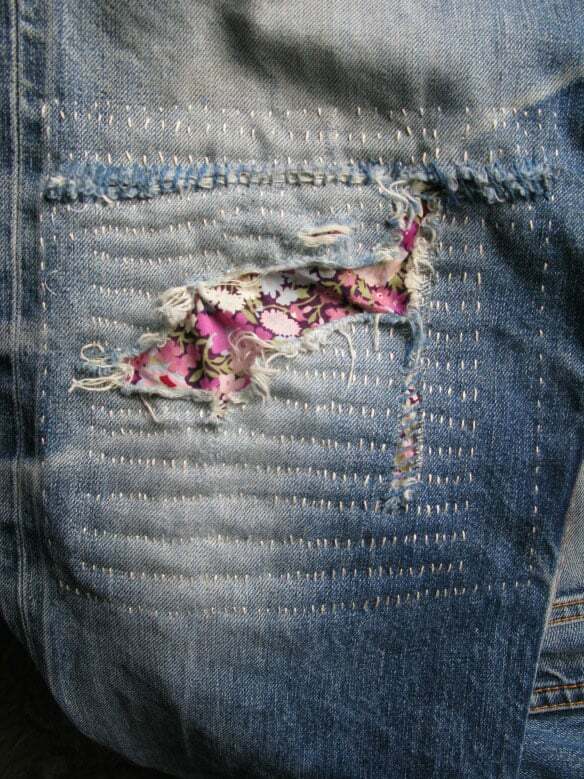 You know you don’t even need a pair of holes jeans to apply patches to, because sometimes you see a designer pair with floral patches that you really just want to DIY! 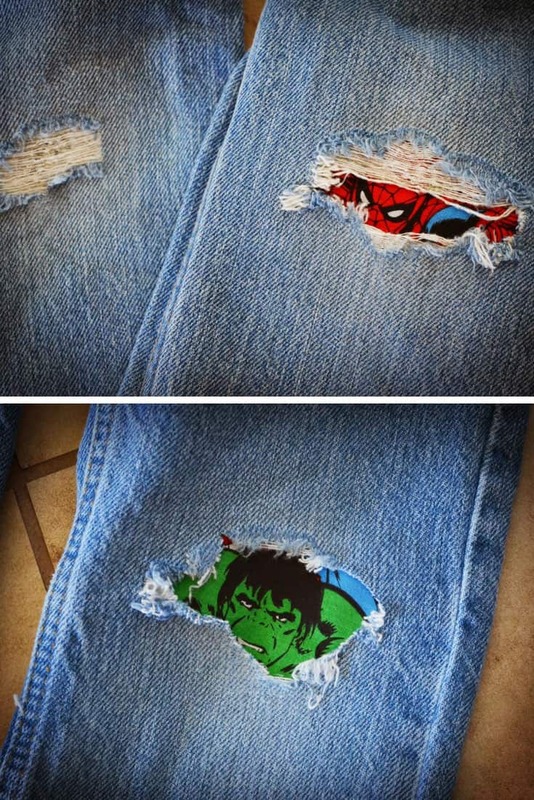 You don’t actually have to go out and buy iron on patches to repair jeans, because sometimes its better to use fabric, especially when it has superheroes on it!